I’ve been away from this system for a couple months, so I had a lot to catch up on. 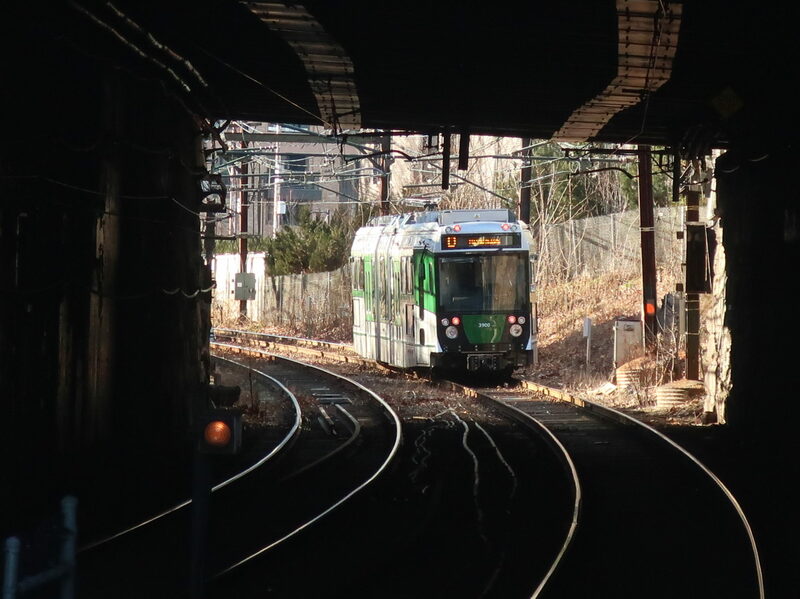 This past week, I’ve been going to all the places where the MBTA has done something new, and it’s now time to put them all in a post! 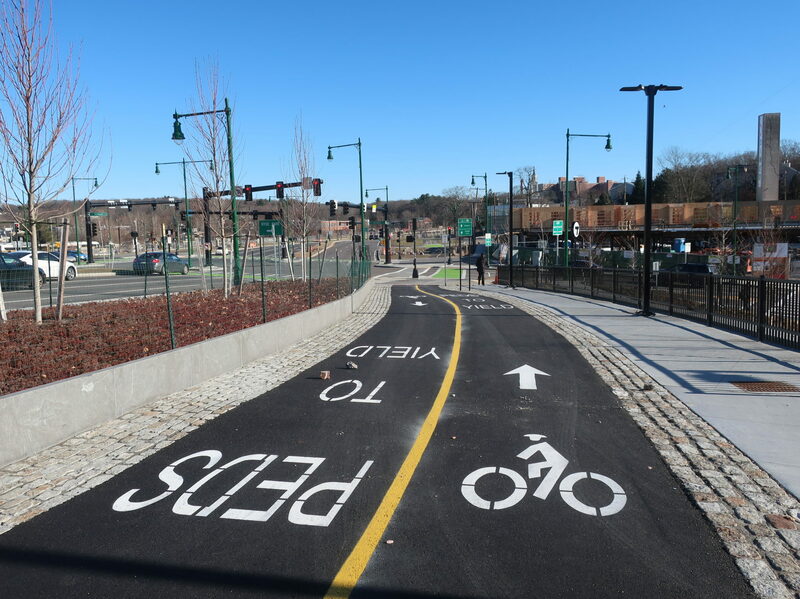 First up, we have the new Forest Hills Upper Busway. This is something that the MBTA really hasn’t publicized that much, as far as I can tell, and I really don’t know why. I mean…just look at the before and after! 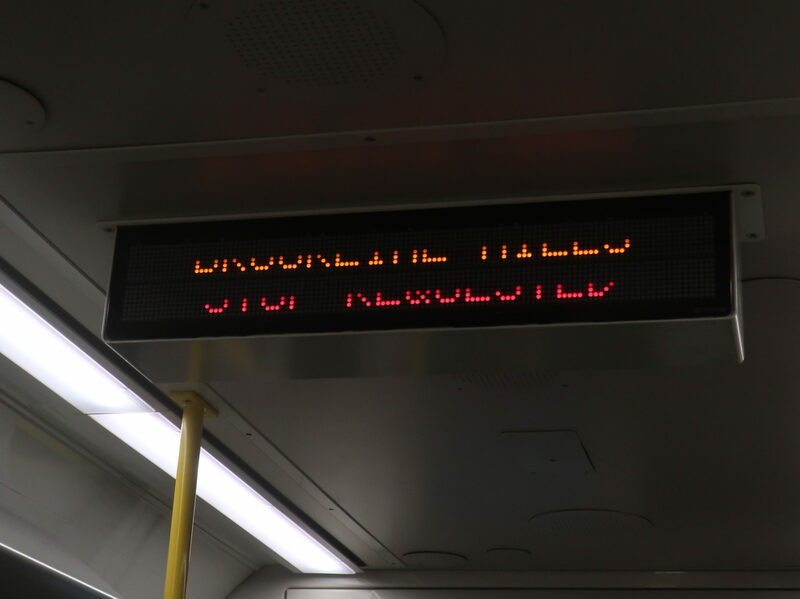 The MBTA went all-out on this thing. 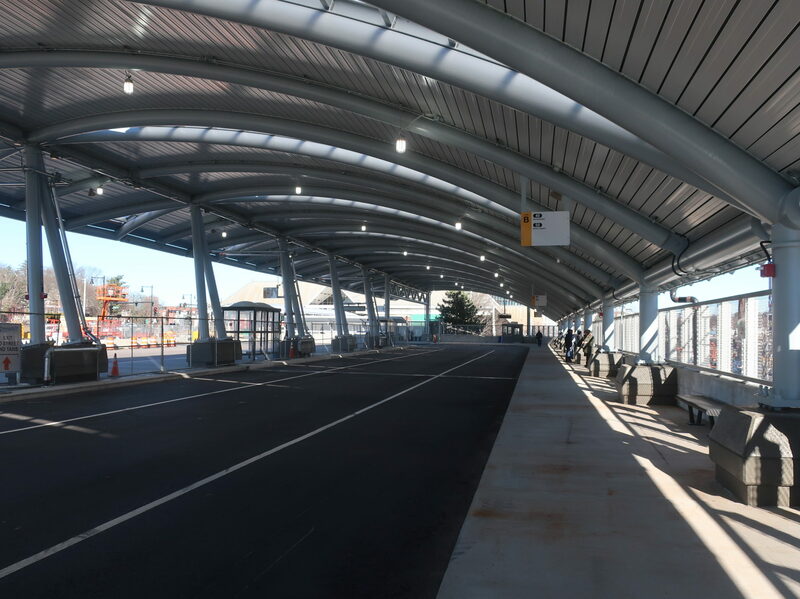 Of course, the obvious improvement is that it’s beautiful, but there are other upgrades like more layover space for buses and fully-sheltered walkways from the main building. The berth assignments make a lot of sense, generally putting together routes that go in the same general direction; in particular, it’s nice to see the 38 and 39 share a berth now that the 39 has lost its exclusive busway (a change I approve of), which will streamline trips to JP Center for passengers. The one flaw here is that the benches in “Zone B” (the outer one) no longer have anything behind them, so they’re not fully sheltered and are susceptible to getting rained on. 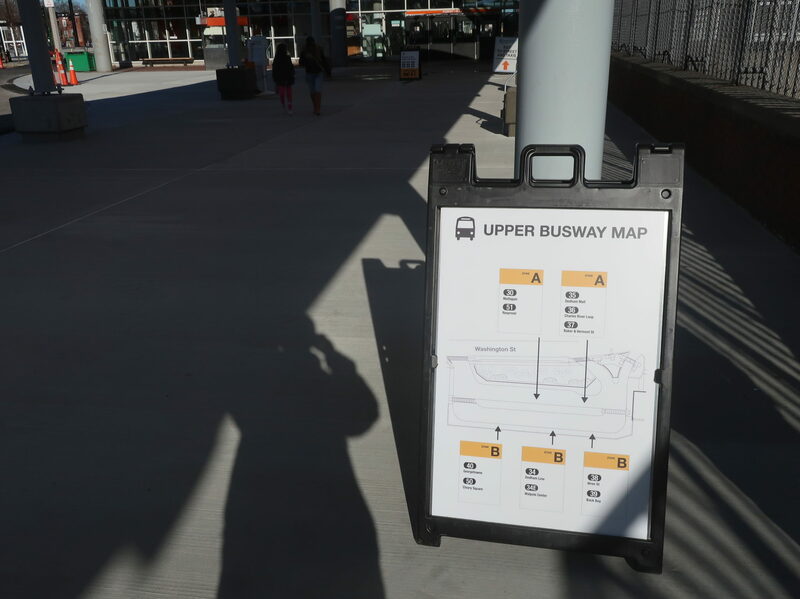 Other than that, though, the Forest Hills Upper Busway now ranks among the best on the system for me. 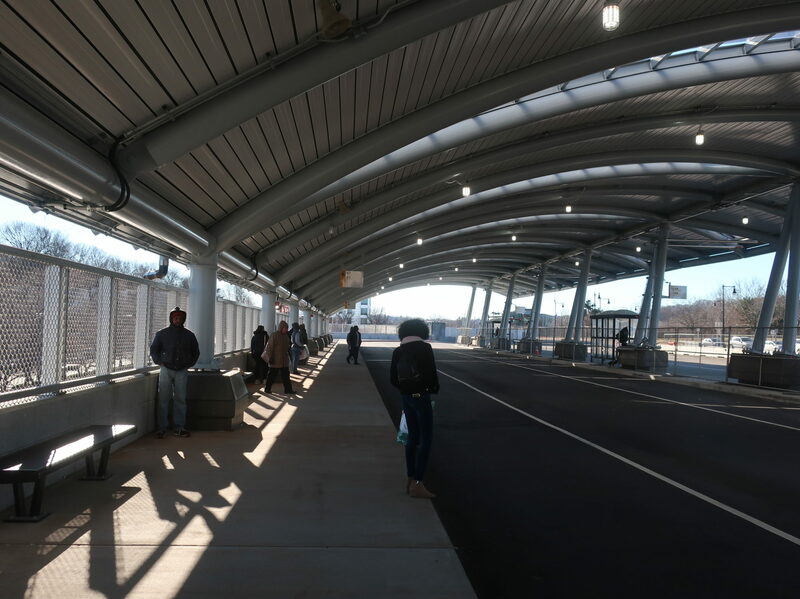 Another view of the busway. 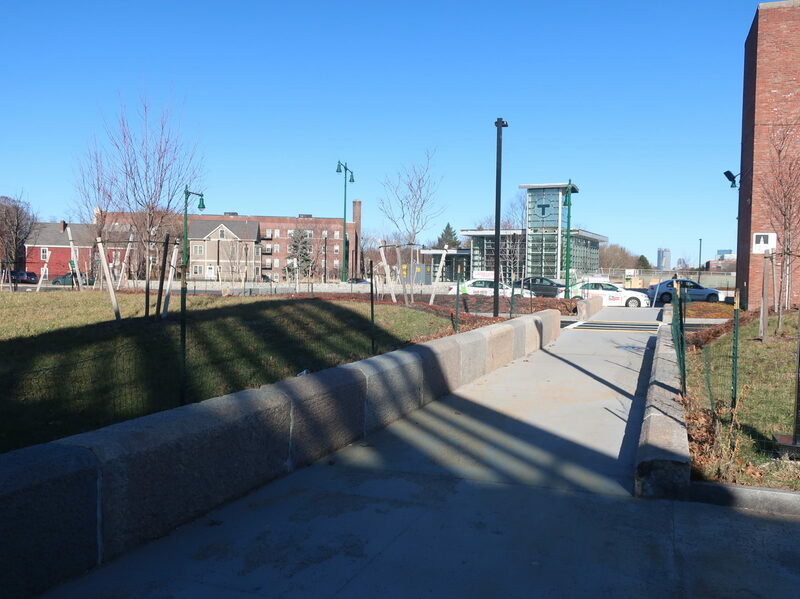 A neat side effect of the busway is that it now covers up part of the formerly open parking lot. 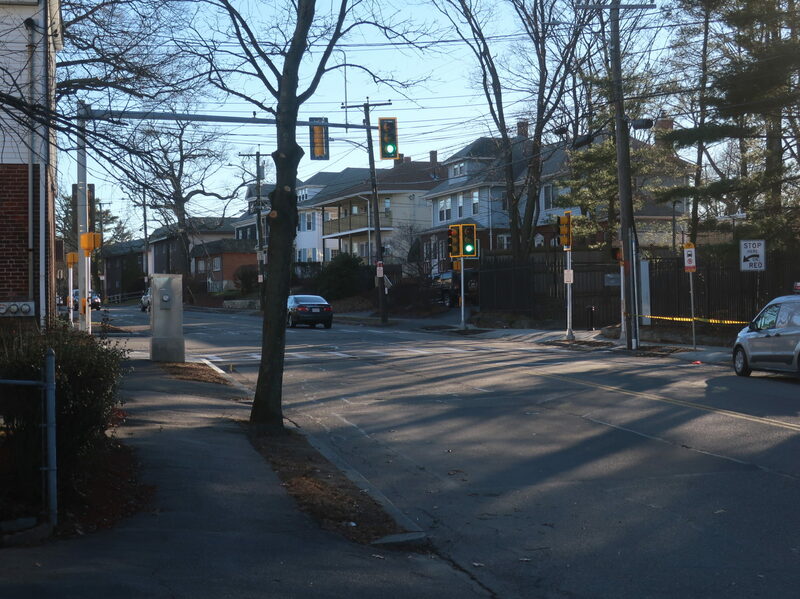 But even less talked about than the busway is the work going on north of the Arborway! I was shocked to see how different the area looks without the Casey Overpass. 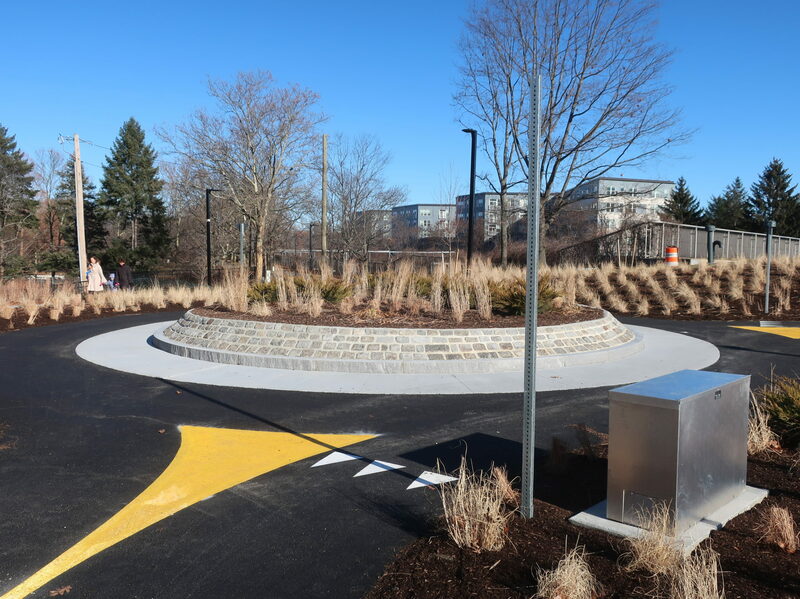 Bike and pedestrian infrastructure has been dramatically improved in innovative ways to the point where it almost feels like you’re in a suburb of Amsterdam. 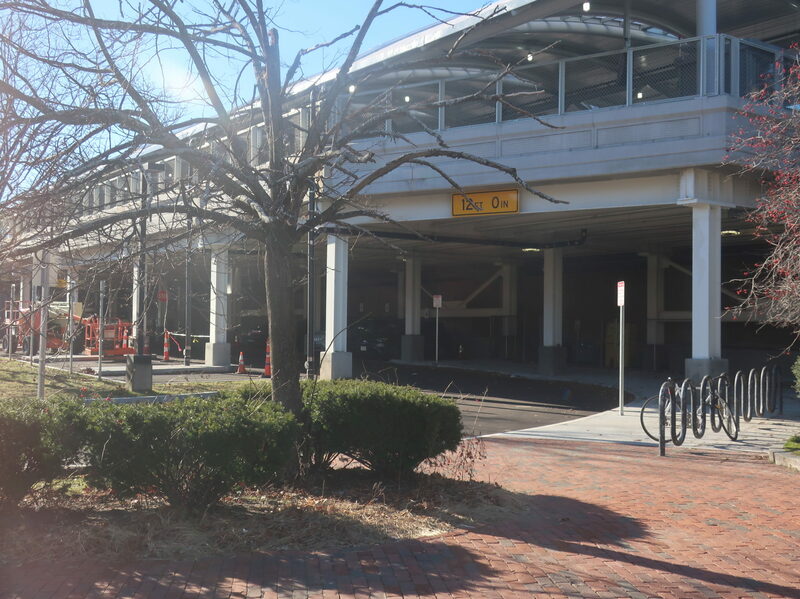 Catering to these new paths and connections, the MBTA is building a new headhouse up here, replacing the former exit-only hut that didn’t really go anywhere. It’s really exciting stuff, and I didn’t even know it was happening! One of the new paths. I love how pedestrians are separate from the bikes, which is really how it should be if the space is available – bikes should be treated as high-speed vehicles. 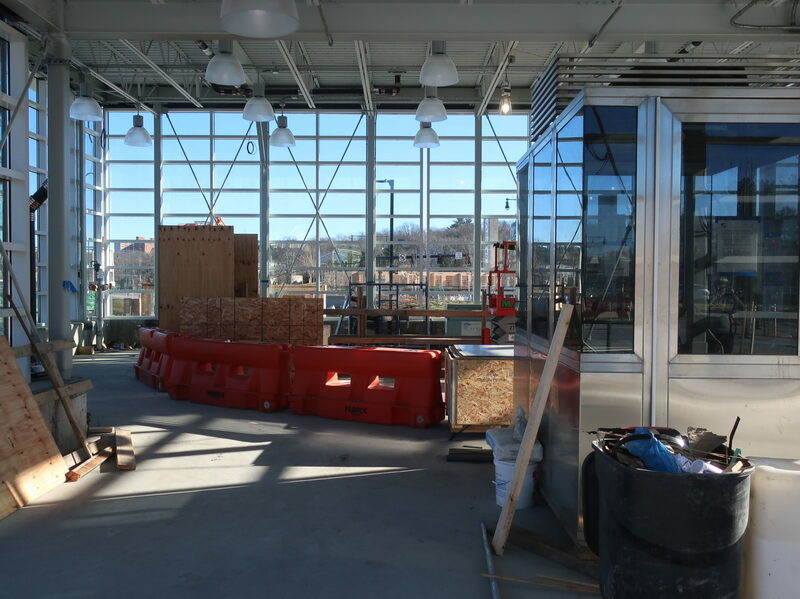 The new headhouse, seen from the main entrance. Hopefully this plaza gets a little more inviting once the trees grow out. Oddly, one can just walk into the headhouse. This is the view from the doorway, because I was too nervous to actually go in. So great things are happening down at Forest Hills! The original station scored an 8, but I’ll have to check back when this new entrance opens up. 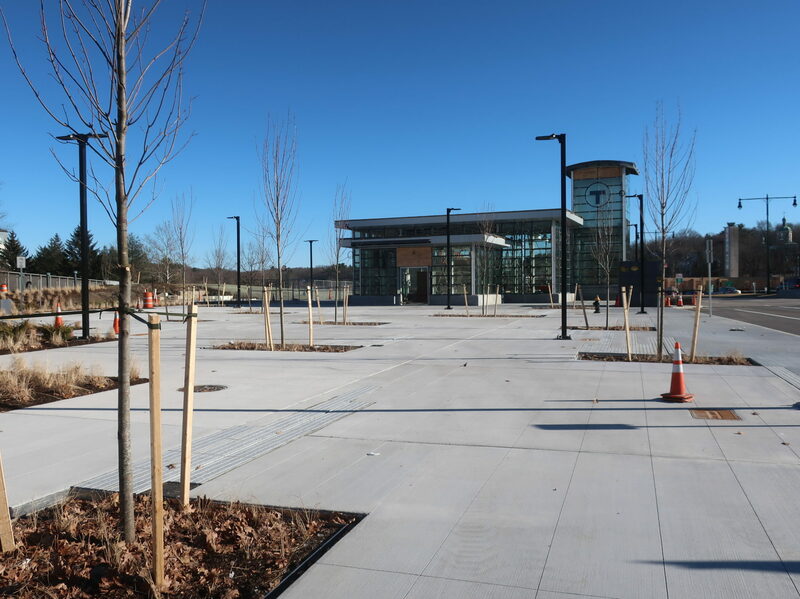 Honestly, given the Upper Busway improvements plus the new paths and headhouse, the station could be on its way to a 9. I’ll link the original post here, but we’ll have to wait until the entrance opens to see if it’s enough to change the score. 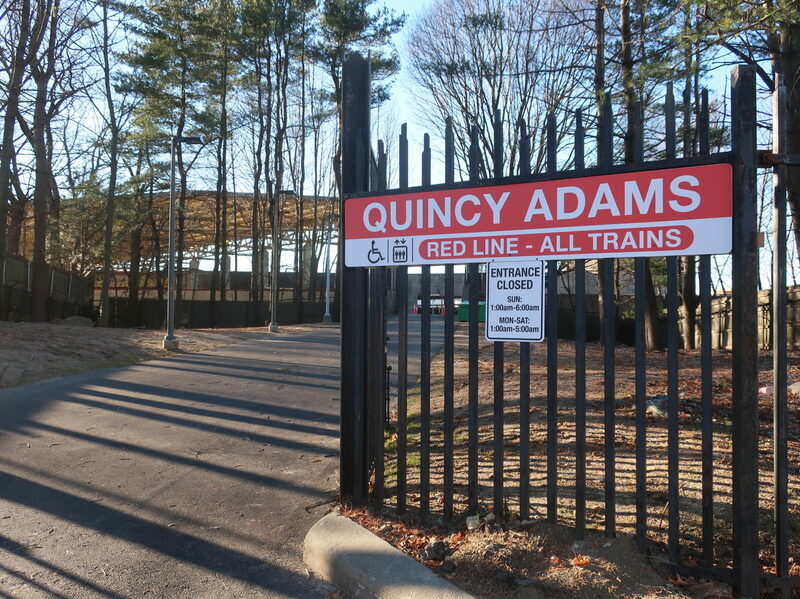 Next, we move on to Quincy Adams, where I finally got to see the new opened gate for myself. I came in on the 230 on Independence Ave; now that it’s finally connected to the station, there’s actually a “Red Line connection” announcement, which was a great touch. 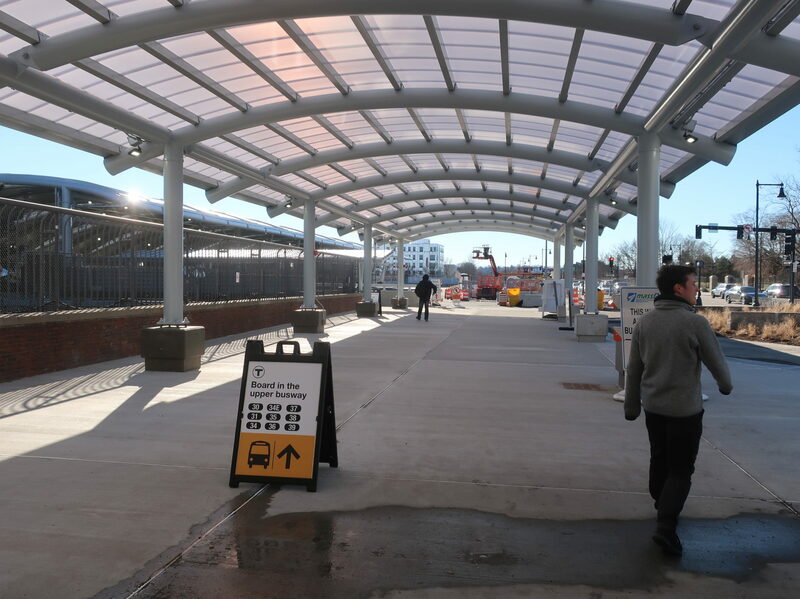 The entrance itself looks fantastic, and it came with a new traffic signal, an accessible path to the elevators, and signage improvements all throughout the station. I already updated the original review‘s score, but I’ll link it to here for the pictures. The new signal. The bus stops haven’t seen an upgrade, not that they really need one. Now that the gate is open, I would love to see a T symbol out here to call more attention to the entrance! Yay!!!! Weirdly, the other gate still says “no trespassing”. 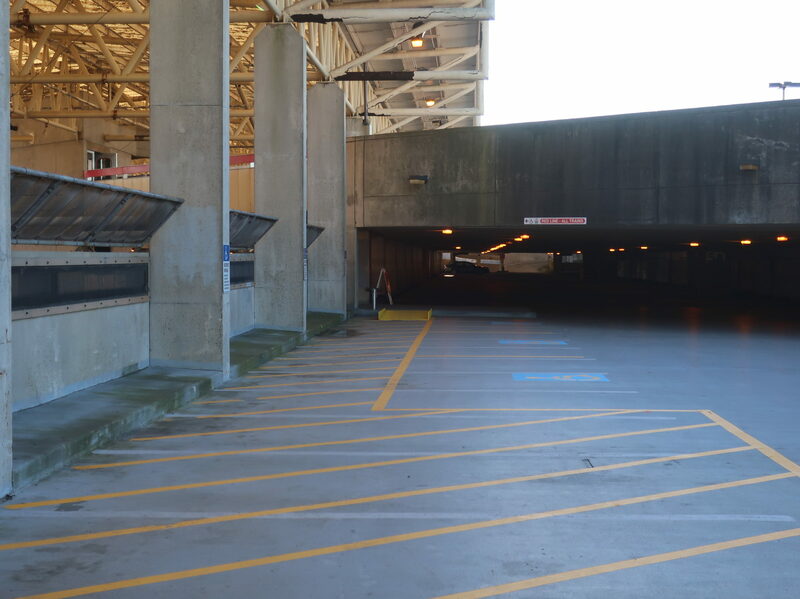 The pathway towards the elevators, with new signage and a wheelchair accessible ramp. 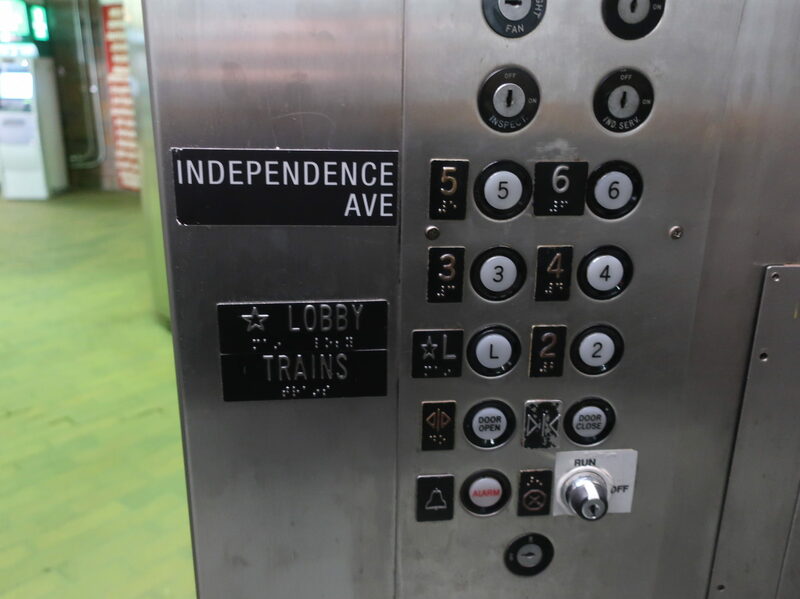 Independence Ave signage was plastered all over the station – I loved this one in the elevator. Unfortunately, the one in the other elevator was half-broken off. 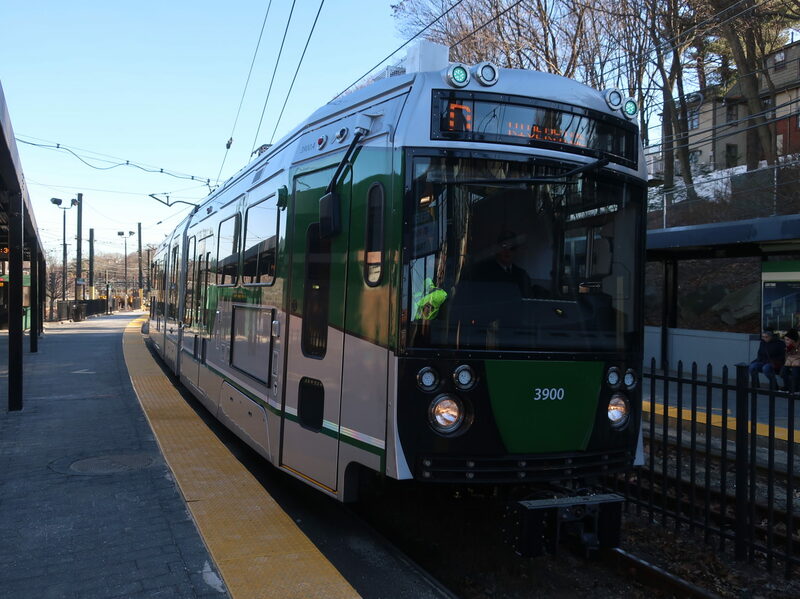 And finally, we have the one I’m sure many of you came to this post to see: the new Green Line trains. Let me tell you, these things have evaded me for the past week! I slept through the first trip because I had no idea it was even happening, then I missed its single round trip on its second day of service the next Monday. When the next trolley from Riverside did come in, it was just…a normal train. I was livid. I still have no idea what happened to 3901, but I stood there waiting for far longer than I want to admit, still hoping it would come. Of course, it never did. So we headed out, hoping to arrive at Riverside at around 11 and catch the new train on the way in (and no, there definitely was no hope in making it to the family friends by 12 in this scenario). We were at Kenmore when suddenly, I saw 3900 going in on the other side. “There it is!” I said, and we raced off the train to cross to the other platform. 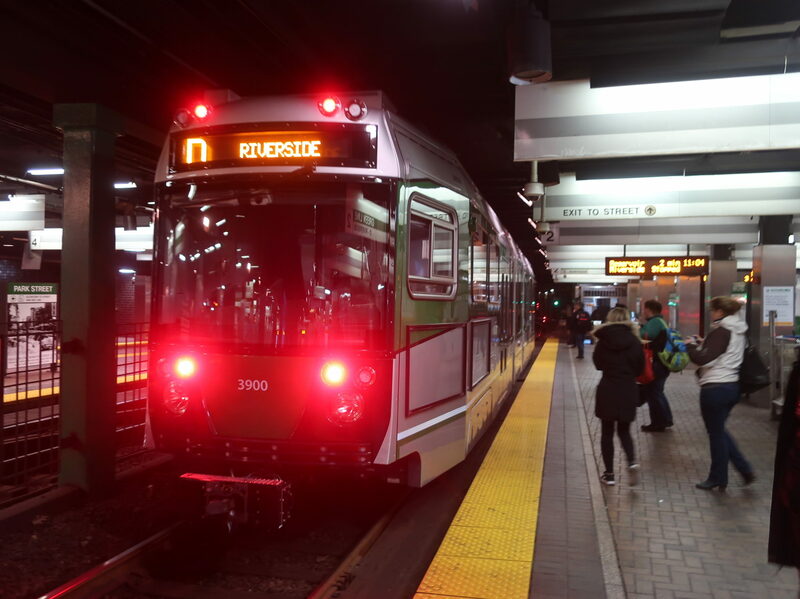 Hopping on a North Station train, we could take this to Park Street and then get 3900 on its way back out. And it…was…amazing! My pictures at Park Street weren’t great, but here they are. It looks so futuristic! 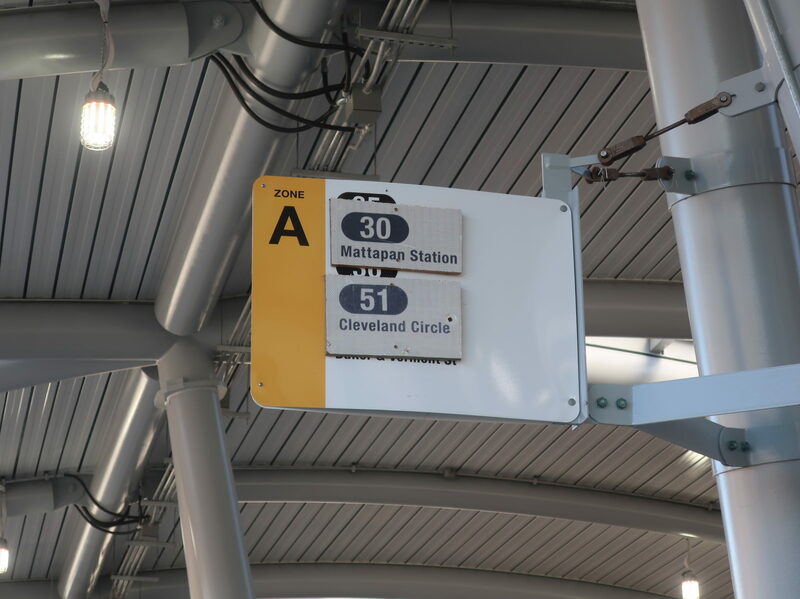 I love how much bigger the destination signs are. The futuristic interior. It was a very smooth ride, with practically no sound, even on tight curves. 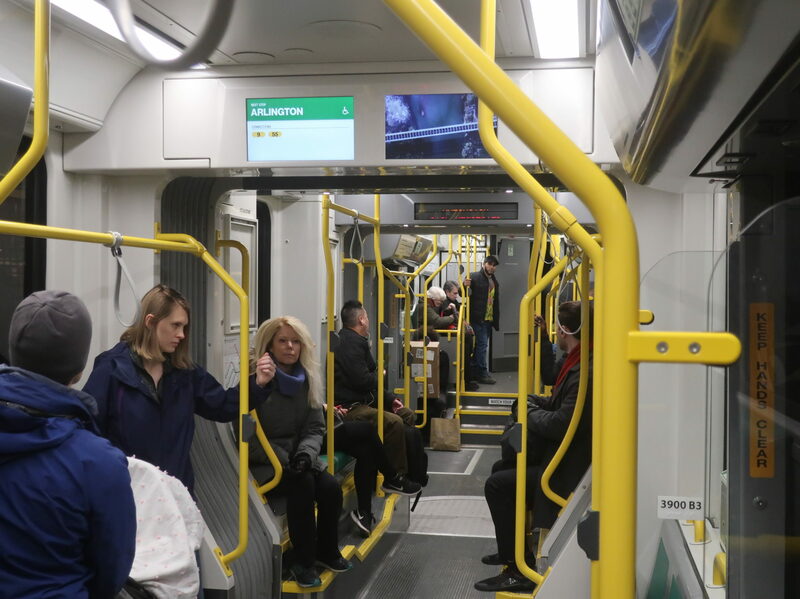 The trains have 10% more capacity than older ones – it really did feel more spacious in there. The seats are hard plastic, but not insanely uncomfortable. Here’s the nice wheelchair area. 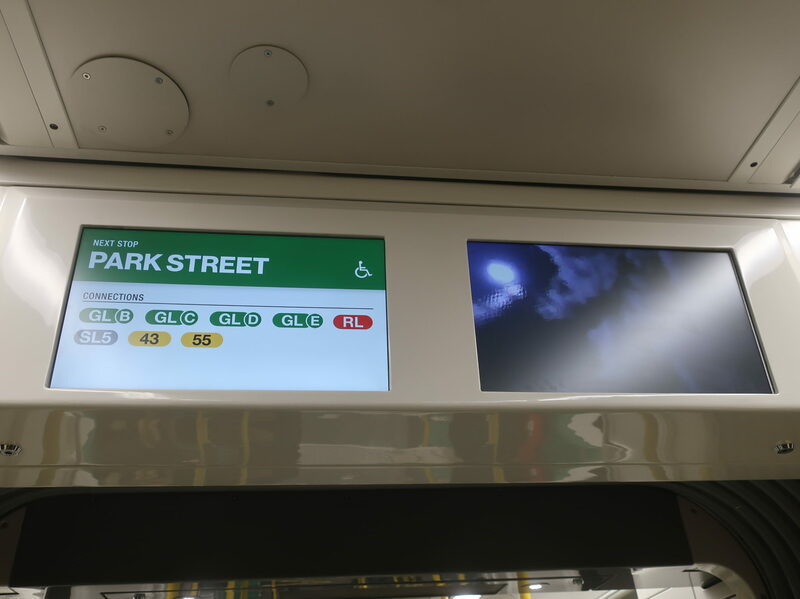 One screen showed the next stop and its connections, while the other screen showed a reel of Spanish manufacturer CAF’s other trains. It was a little ironic to watch trains speeding across the European countryside while we sat on a Green Line train stuck in the Central Subway! This screen might show ads later on, but I really have no idea. The connections were generally correct, but there were a few small errors. For example, it showed connections to the 502 and 503 at Copley, but this was midday, so the 504 should’ve been there instead; it wasn’t. The biggest problem, though, was showing Hynes as accessible. That flat-out isn’t true, and it needs to be changed as soon as possible before the ADA sees it. 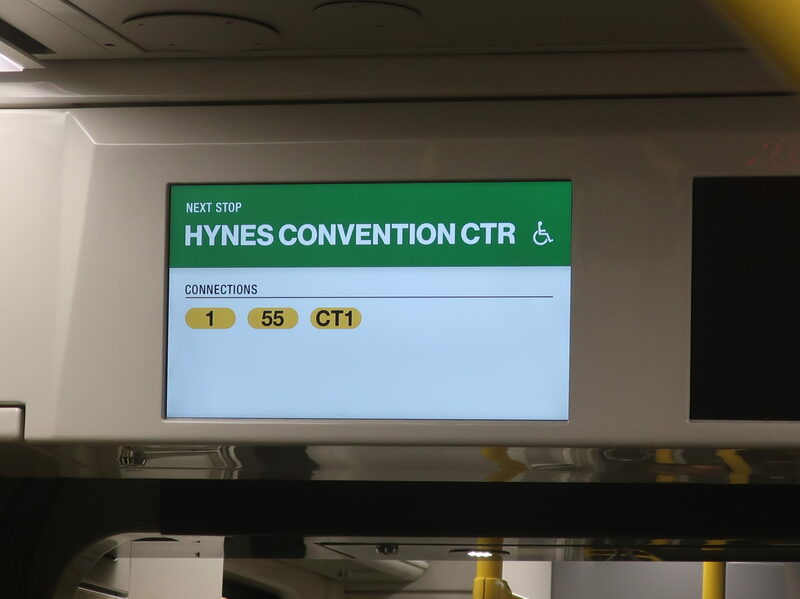 The more minimalist screen for when stops don’t have connections. 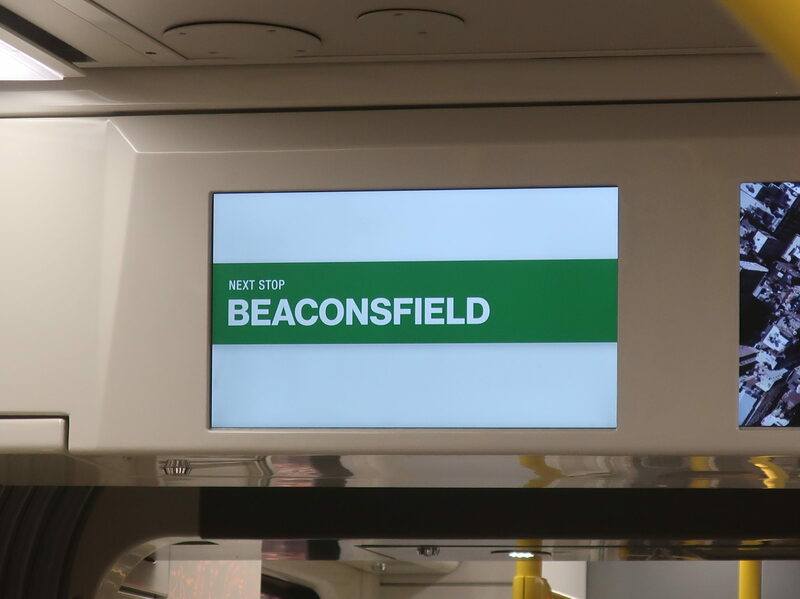 At least they got Beaconsfield’s lack of accessibility correct! Argh, my camera didn’t capture this very well. These screens just show what the announcements are saying. The announcements, incidentally, are terrible. They use the Blue Line chimes when they come in, which sounds great, but it’s a super annoying robot Siri voice at the moment. 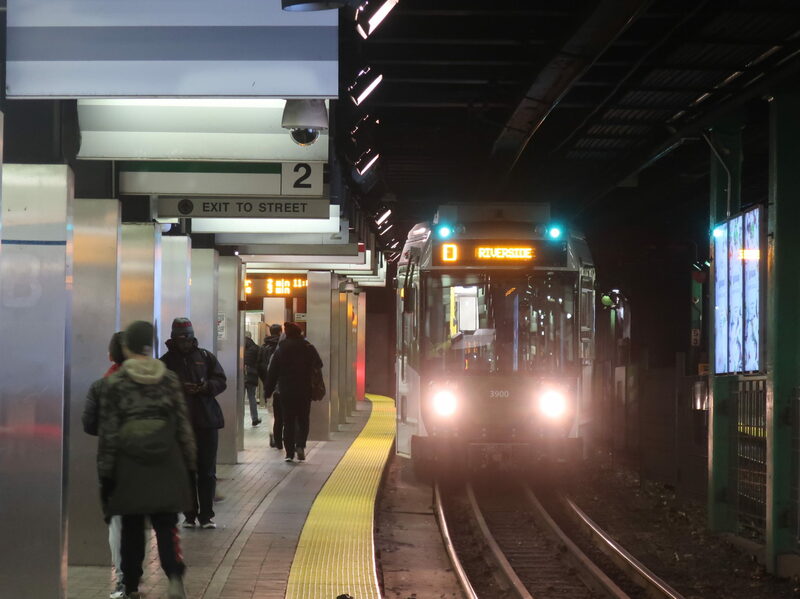 Fun quirks include saying “Stand clear of the closing doors” for both the front and rear doors (so you hear it twice at each stop), and announcing on which side the elevators are, even though the doors at almost all stations only open on one side anyway. Hopefully we get Frank Oglesby to replace these at some point. I wanted to try out the stop request, so I hit it before Arlington to see what it would do. It made the bus stop request sound and lit up “Stop requested” on the LED screen. “Nice, nice,” I thought. But then…it stayed lit for the entire rest of the ride! Hmm, might be something to look into. We got off at Reservoir so we could make it back in time. 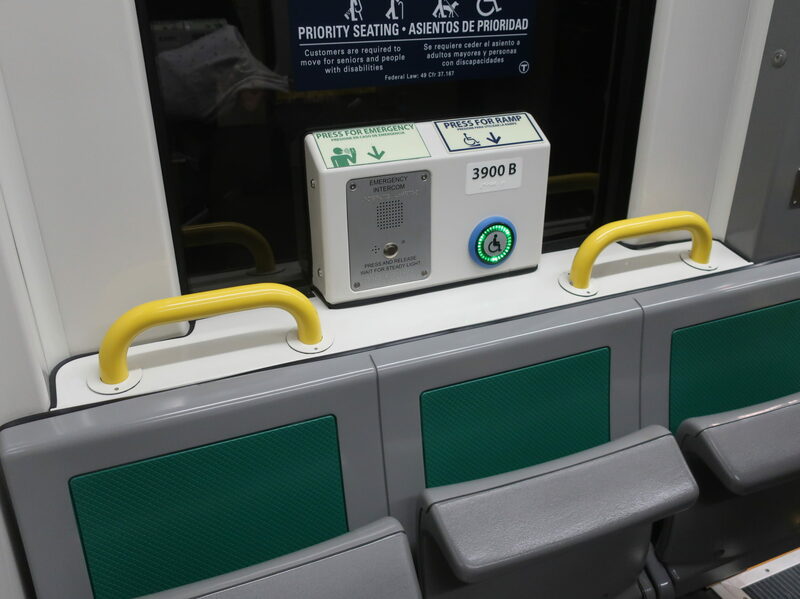 We got to see the plug doors in action, which seem to be working fine so far. Also cool is that the side mirror folds over the front door when it closes, since it’s only needed for when the train is stopped. And there it goes to Riverside. I did that thing I do where I spent a lot more time talking about the bad things than the good things, but this ride really was a joy. Although there will only be 24 of these trains in service, getting one will always be a treat. They offer smoother rides, better passenger information, and more capacity, and if you can manage to get a ride on one, I strongly recommend it! It’s been great coming back and seeing all the fantastic changes the MBTA has been making. Improvements are constantly being made to the system – the fact that this much can happen in just a few months is truly incredible. I can’t wait to see how else the MBTA upgrades its system in the coming year. So, what’s the way back to school? Hmm? Yeah, I am really mad I missed those. Paying full fare is brutal! I was looking at the tracker today and it made a full round trip out to Government Center and then it made another trip out and short turned at Kenmore so maybe that’s why you missed 3901? Maybe that’s what it’s doing? Could be. I’m just glad I got it at this point! Wow, I didn’t know you could request stops on the Green Line. 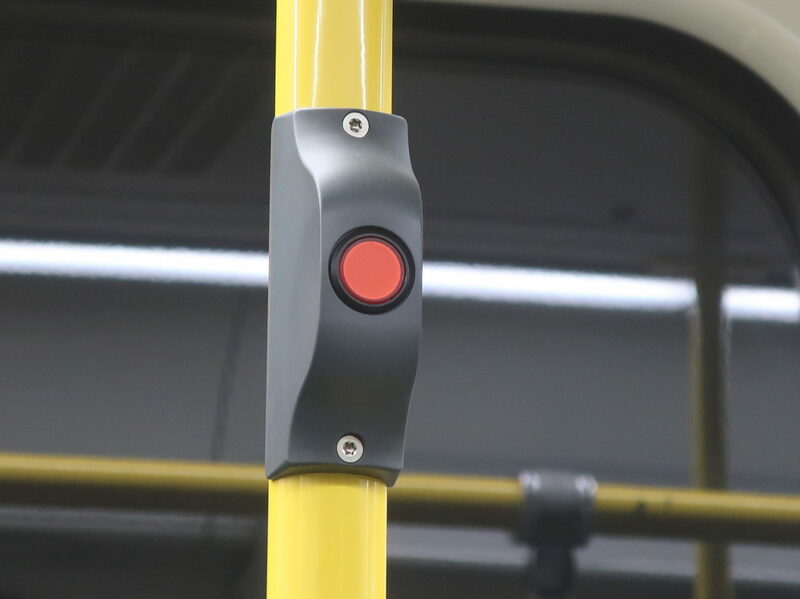 Or is that a new feature for these new trains? Yeah, you can request stops on the street-running sections.